Nearly a thousand years after the birth of Christ, when all Europe fears that the world will soon end, a young Irish monk, Brother Ciarán, discovers an ominous warning hidden in the illuminations of a religious tome. The cryptic prophecy speaks of Enoch’s device, an angelic weapon with the power to prevent the coming apocalypse. But a heretic-hunting bishop has arrived at the monastery, willing to kill to ensure the device is never found. Pursued by the bishop’s men and supernatural forces, Ciarán and his freethinking mentor journey to the heart of France in search of the device. There, they rescue the Lady Alais, a young widow accused of witchcraft because she holds a key to the prophecy. Together, the trio must race across Europe to locate the device, which has left clues of its passage through history. But time is running out, and if they don’t find it soon, all that they love could perish at the End of Days. 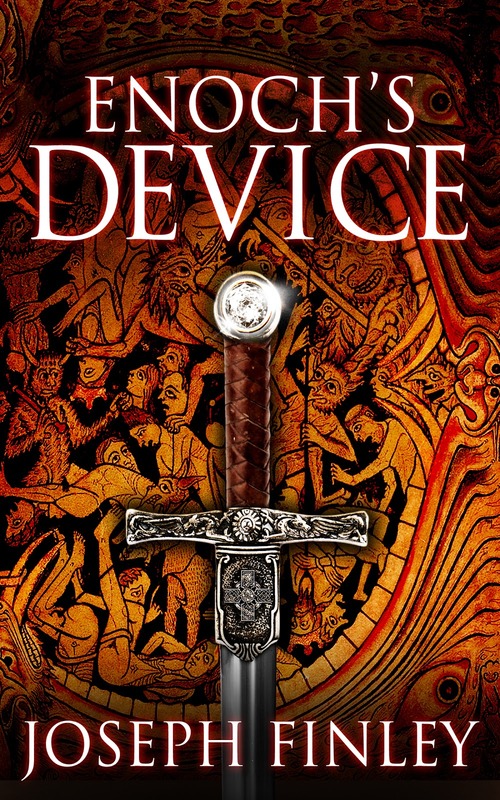 Enoch’s Device is available in e-book and paperback at Amazon and Amazon UK, and in paperback from Barnes & Noble.com.